Flashes of Style: Polka Dots + win $80 Romwe Gift Card! Polka Dots + win $80 Romwe Gift Card! 2.) Leave a comment below with your contact info! Simple as pie. Hope you all are having a wonderful day! love the last pic ! love the secound Romwe outfit! voted for you! hope you win! voted! hope you win! you'd be perfect! Second - YAY!!! I voted for you :D :D Good luck! Romwe really does have some great stuff. And I love how they do their packaging in old newspapers. Its cute. Voted! Love your Romwe looks! p.s. going to vote for you now! ... silly me, i already voted! i saw this contest on someone elses blog and [obviously] picked you a few days ago :) but sssh! That dress looks so lovely on you! voted for you!!!! love your blog! btw, love your dress. It is so adorable! Gorge dress and bag.. infact i love the whole look! Good luck in the contest! Just check my blog for email. i love your dress btw, i think i may have to get it! Love this dress, so darling!! Just voted for you, sweetheart! :) Keeping my fingers crossed for you, cutie. Your dress is absolutely darling. I voted for you! I love Romwe clothing and you always style it so well. Such a pretty dress Bonnie! I will never lose my love for polka dots. :) I voted for you. Hope you win! Oooh! Just voted for you! Hope you win! Hope you win! Btw, love that dress! It's such an cute outfit! Good luck! great giveaway and lovely dress! you kindof look like michelle branch! the last one shoot... I LOVE IT! VOTED! I hope you win! :) Best of luck to you with good wishes! 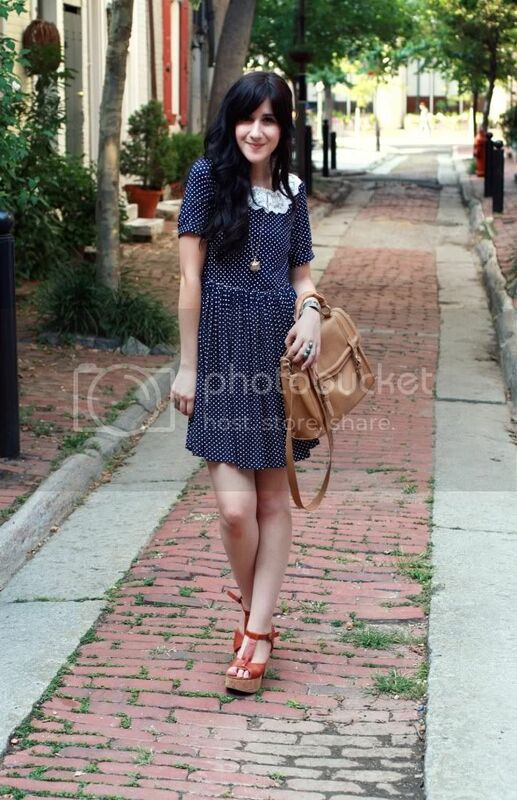 You look adorable in that dress, si so summery and romantic! just voted!!! i live in philly too so i've been hoping to run into you one of these dayssss :) i hope i win!! just voted for you!! really like the second outfit!! voted for you, Bonnie -- looking cussing adorable, per usual. I love your second Romwe look; the pairing of alike colors is lovely & very well done! ps. i'm also hosting a giveaway this month. hope you check it out. Tried to vote for you. BTW, I like the third outfit the best. hope you win as I really love your blog! this gift card would be a great birthday present to me! Just voted! You have such consistently wonderful style. 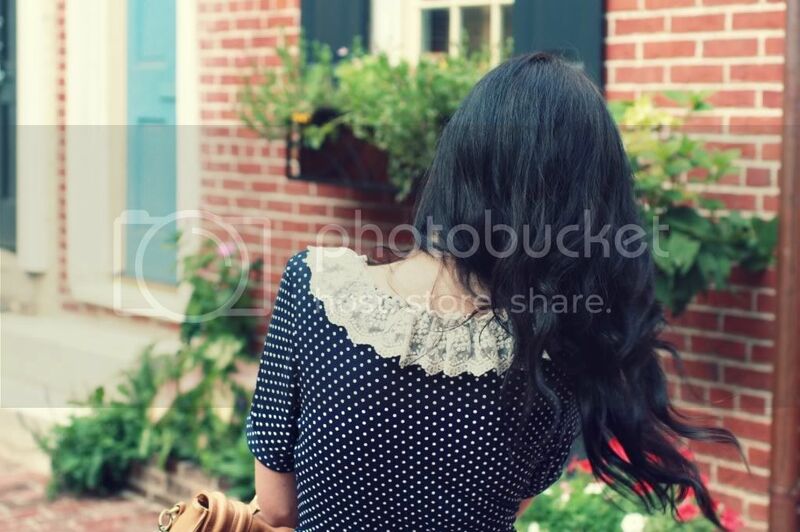 That polka dotted dress is so cute and looks great on you! Oh, that is such a sweet dress! I love the collar. I adore this dress, everything I love! Just voted for you pretty girl! I voted for you!!! good luck!! Thanks for doing giveaways like that! Voted! Good luck, I hope you win - you deserve it! love the polka-dot dress! it looks perfect on you! and those heels are just amazing! You look sweet as always! Lovely dress! that bag is soo cute and that dress is adorable! love the lace! I voted for you!! Good luck!! Your outfits are amazing! I hope you win, I voted. Wish you the best! Thanks for inspiring us. voted, as you're one of my favourite bloggers! my vote has been cast. good luck!! Good luck! I love all the Romwe styles you've done, especially those pleated shorts you wore a while back. Your blog is fantastic--I love your style! Go Bonnie! Hope you win! I love Romwe. Spent the night piddling around the website! Found some great pieces. 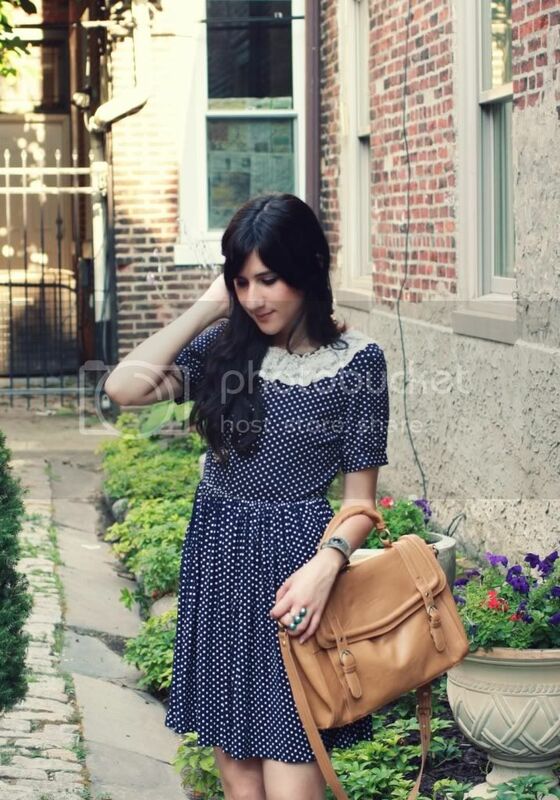 Such a great polka dotted dress! Hope you win! yay! i voted for you. i really hope that you win! i love the first and the last pics the best. 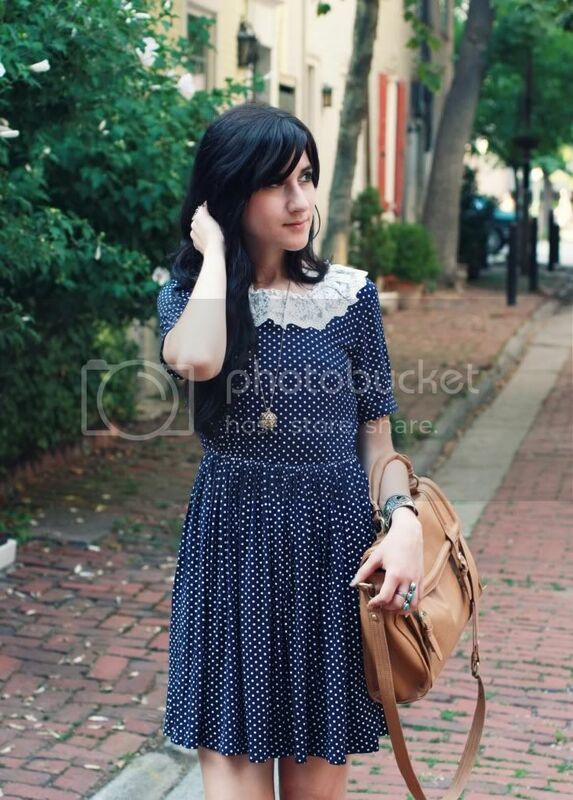 I always love a navy polka dot dress. 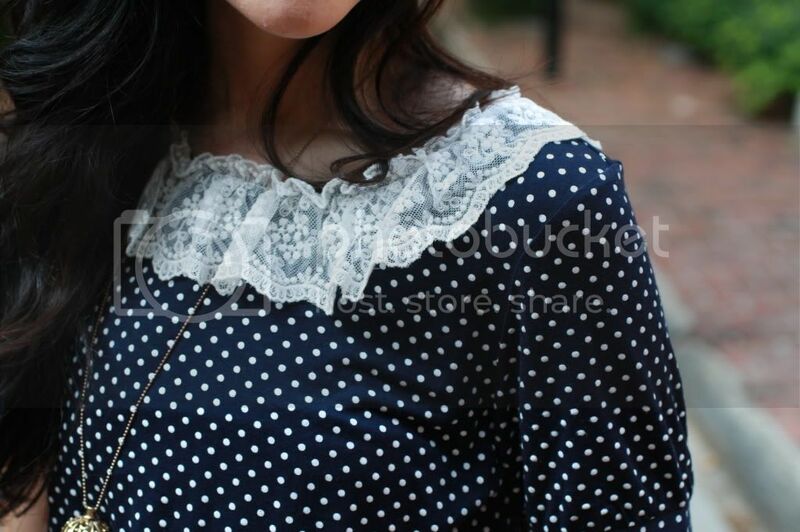 This one is so cute with the collar on it. I hope you win the contest! I love every your outfit. http://chocarome.blogspot.com - if you want, please, follow me! Voted as Michelle N., under my other email. Good luck! Voted ! i love your style ! Follow you everywhere & voted! Loove this blog I'm definitely blog lovin'. love all of the outfits, gorgeous! that is exactly how I thought about it in my dreams..
Just voted for you. Good luck! 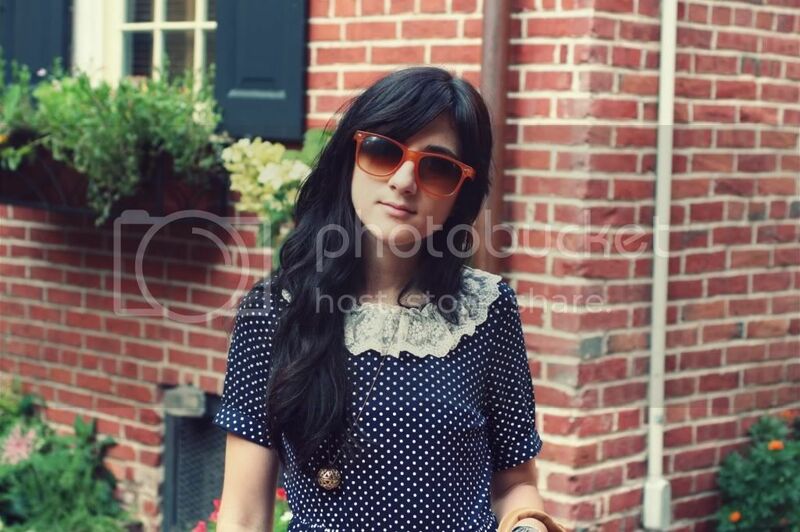 Love the polka dot dress! It is very much my style! Enter the ASOS Sunglasses Giveaway! Voted for you, girl! All your looks are so inspiring - best of luck! Thanks for the chance to win! Man I just love your outfits, lovely style. Hey! just voted, and hoping you win! 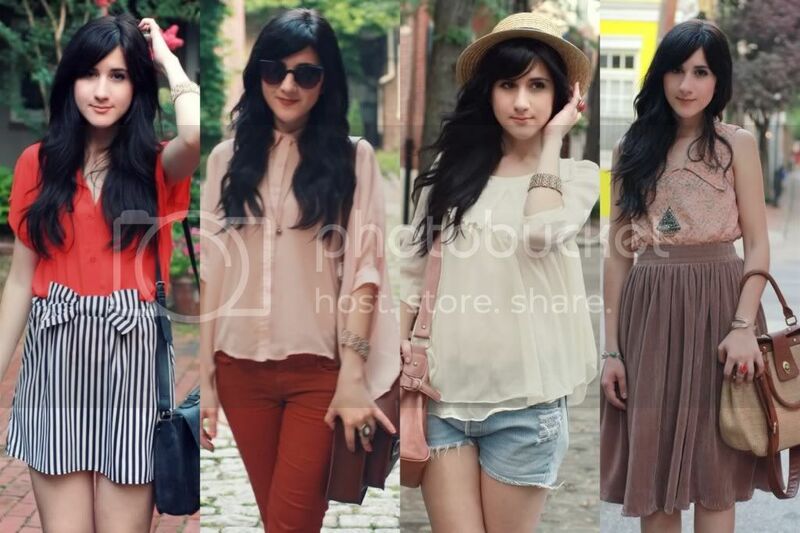 I especially love the first and second romwe looks! All your outfits are so cute though! I've already voted for you! I really love your style and your dress!!! Just voted for you, good luck Bonnie! Just voted for you! Good luck sister :) You would rock the Romwe site! And of course, you got my vote! I am in LOVE with the striped skirt! Hi...I'm ahead of you...had already voted for you before you posted this. Love your style and the dress is simply yummy! Best of luck! I really really love your blog !